Thank you Wiebke and Eric! We are an international couple. Eric is from America and Wiebke is from Germany. We’ve been married for eleven years. Despite the fact that there seems to be no medical reason for it, we’ve been struggling with infertility for the past eight years. Since the summer of 2014 God started speaking to us individually about adoption. We’d see billboards on adoption, met people who adopted, and heard Matthew West’s song “Do Something” over and over. When we realized we were on the same page, things started to happen quickly. When we decided we’d like to pursue an international adoption and literally stumbled upon Poland! We were thrilled! Although I’m German, my maiden name is Polish and my dad was actually born in Poland. It just so happened that we found “St Mary’s International Adoptions” right here in Charlotte! 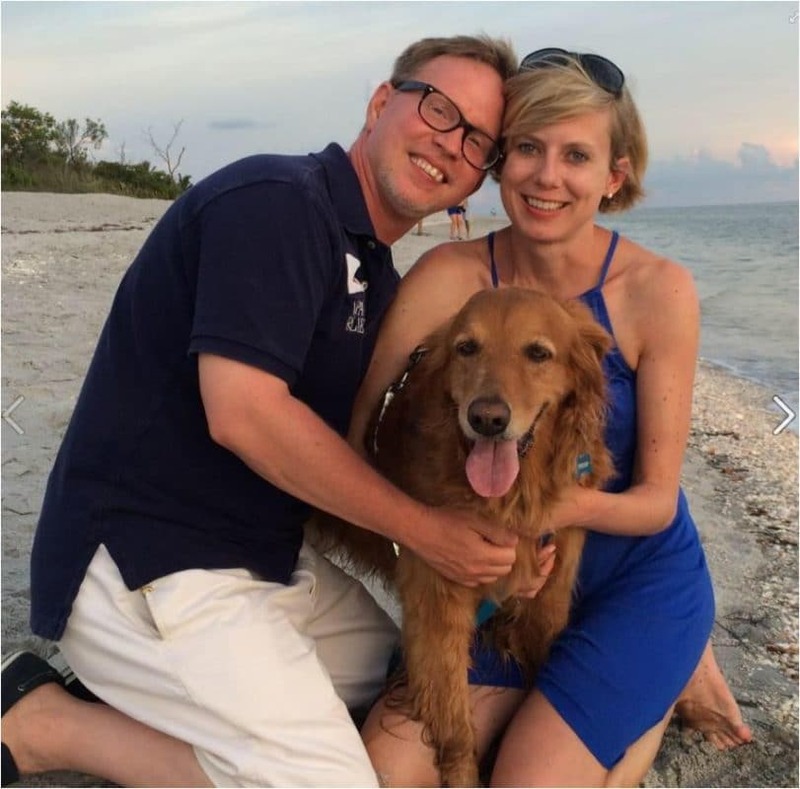 After meeting Lena and Nick we knew that their faith in Christ was genuine, and they were experienced professionals. Then in May 2016 we received a referral for a little girl and her 7 1/2 year old brother. We knew right away this referral was something special. In June we traveled to Poland to meet the children for a week. They are living in separate, but excellent foster homes. Each day was long, fun, and challenging because of the language barrier. But the Poles are very gracious people. Now we are back in America waiting for the green light to return to Poland and get our children. Every week we Skype with our son-to-be, and exchange pictures with our daughter-to-be’s foster family. We are grateful to our friends and family who have prayed for us and helped us financially. We are grateful to both foster families who continue to raise the children and help with the transition. It is interesting how God can talk to us! It can be very profound and very deep. Or it can be very simple and lighthearted. Sometimes, as you are going through a difficult time, all you need is a song on the radio that speaks to you. For Eric and Wiebke, that song was Matthew West’s “Do Something”. As they were preparing their documents for their Polish adoption, they came to our office several times. Therefore, we’ve seen them through many moments, including ones that require you to live out your faith. They’ve definitely gotten the opportunity to live out their faith in their adoption journey in order to get to this stage! They just met their children this June and are currently waiting to to go back to Poland to finalize their adoption. In the mean time, we thought we’d play their favorite song for them, as in this stage of the process, “doing something” equates to waiting. Check out more about their story below. As we look forward to sending Wiebke and Eric back to Poland to complete their mission of leaving the world with two less Polish orphans, we are reminded of the costs that is ahead of them. 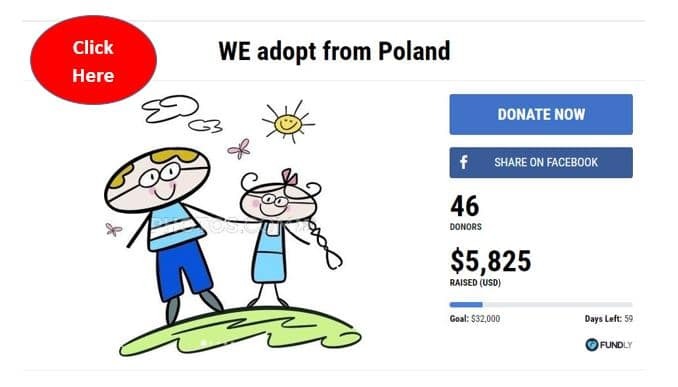 Not only fees related to the adoption proceedings, but also airfare, paying for an apartment to stay in Poland, and all other living expenses while they are bonding. We are so very proud of our old church, Forest Hill, and how much they’ve donated to this family to help them with their adoption expenses. If you’d like to help them, even with just a few dollars, here is their “Fundly” account.